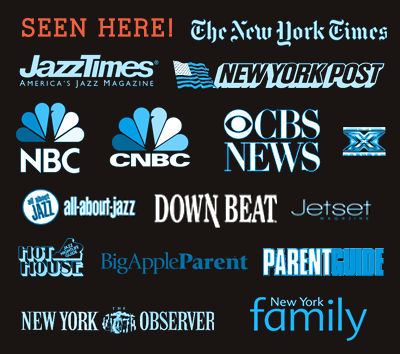 Is New York Jazz Academy® Right For You? We think so! But feel free to read more, and let’s figure this out together. Over the years, New York Jazz Academy® has evolved into one of the most diverse musical communities in the world. You still may be wondering how or if you might fit in to what NYJA has to offer. Feel free to browse the types of musicians we tend to see below. NYJA comprises over 1,000 musicians of all kinds, from 35+ states, and 70+ countries. Our growth and success is due in part because of the community our participants have built. The environment here, among teachers and all musicians, is entirely inclusive, inspired, engaging, productive, fun, and immensely rewarding. Egos are checked at the door, and we help each musician focus on next steps in the process of learning and developing as artists. Musicians include vocalists and instrumentalists, hobbyists and professionals, young and old. We think you’ll find your place here. If you are still not sure, please feel welcome to reach out and ask for an assessment. We are happy to help. Also, feel free to read about other NYJA musicians’ stories and testimonials. You are new to music entirely, aside from perhaps a few lessons you took when you were young. You recognize the value in receiving high quality instruction early in your process. We recommend that most beginners start with private lessons and gradually move to a combination of group and private instruction. Supplementing your studies with online classes is also highly recommended. You are most likely a beginning/intermediate musician who perhaps has difficulty assessing exactly what level you are. You aspire to make music with others, enjoy the process very much, and are ready to jump in with workshops, classes, and ensembles. We will help assess exactly which options may be right for you, in part determined by your interests and goals. You have previous experience with in-depth music study, but you are also looking to learn more from NYC professionals. In some cases, you may be a bit rusty on your instrument and are looking to fine-tune your performance and craft. In other cases, you may want to continue your studies because you understand the value of maintaining and developing your musical concept. You remember fondly the days, in some cases 20 or 40 years ago, when you played or sang in bands, either professionally or semi-professionally. You are looking for a quality environment for you to work on your re-emergence. It’s time for you to brush the dust off, rekindle the flame, and face the music again! You developed proficiency in classical music, but you have always wanted to move beyond classical and begin to understand and experience the art of jazz improvisation. Your hope is that some of the mystery will reveal itself and that you can tap into something new and inspiring. You are concerned that you are not a high level reader, or even possibly that you’ve never read music at all. We work to place you in specific environments that help you develop as a reader while also celebrating your strengths as an ear-based performer. Not every NYJA musician takes the same classes, and each class focuses on a players strengths while addressing areas that may need improvement. You want to enter a jazz scene and develop your skill set. Perhaps you already attended music school, or perhaps you are already gigging as a semi-professional musician. Yet, you still fee that you have more room to develop. You are interested in playing with others at your level, and you look forward to more gigging in your future. You are not sure whether you should be in school at this point at all, given your previous and extensive background. At the same time, you recognize the value of continuing to grow as a professional musician. You also look forward to broadening your network, in addition to being coached and advised by NYJA faculty. You are looking to join the ranks of many of the great professionals in NYC who maintain their artistic strengths by investing in lessons and classes with strong mentors. You are interested in developing alongside other vocalists and instrumentalists. You also look forward to learning more about your voice as an instrument, while also continuing to delve into jazz styles of all kinds, from classic jazz standards to other styles, including bossa nova, Latin, and modern jazz. Whatever your background, be it in musical theater, R&B, art song, opera, or another genre, you know that jazz will help you grow as a complete vocalist. You would like to learn more from our faculty, but you do not live in NYC. Whether you are a beginner, an advanced professional, or somewhere in between, NYJA Online offers something for you, including private lessons via video-conferencing, budget tutorials, online improv and theory classes, and much more. 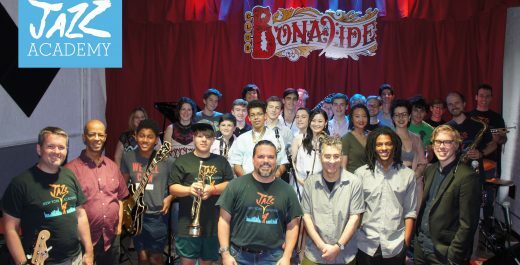 You are a teen in or out of NYC and Long Island, and you are interested in delving more deeply into jazz styles and improvisation, all within a dynamic and engaging environment. Perhaps you play in a school band already and you are looking to excel beyond your school program, or you might be looking for a new program to help you develop. You are not yet in high school, but you are interested in developing a strong foundation in music. You might be a complete beginner, or you might already have played an instrument or taken voice lessons for some time. Your goals are to perform in a band or choir, and you are ready for the next steps in your journey. You play an instrument less common to jazz. We’ve seen NYJA musicians working on violin, cello, harmonica, accordion, banjo, hand drums, and more. Jazz can be played well on any instrument, and non-standard instruments only add to the inclusiveness and wonder of this art form. You may have read through these “musician types”, and you may have found that you don’t fit exactly into any category. If so, we’re not surprised that you transcend any particular category! NYJA tends to transcend the typical music school, and we make sure each and every person is carefully assessed before enrolling. If you are not sure how you might fit in, reach out and ask. Click here to visit the NYJA programs page to browse course offerings.